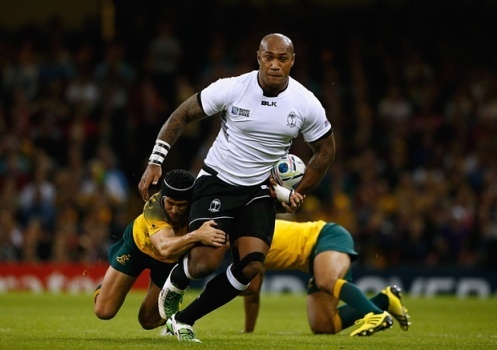 Vodafone Flying Fijians reps, Nemani Nadolo and Leone Nakarawa have been shortlisted for the 2015 Pacific Islands Player of the Year Award. The pair played a key role in the national side’s impressive performance in the Rugby World Cup in England. Nadolo won the accolade last year after an imposing performance for the Crusaders in the Super Rugby competition as well as playing in all seven of Fiji’s Test matches, amassing 85 points. The Pacific Island Players voted for Players of the Year for Tonga, Samoa, and Fiji as well as voting for the overall "Pacific Players Player of the Year. Other shortlisted candidates include Samoa’s Tim Nanai-Williams and Paul Perez as well as Tonga’s Siale Piutau and Telusa Veainu.